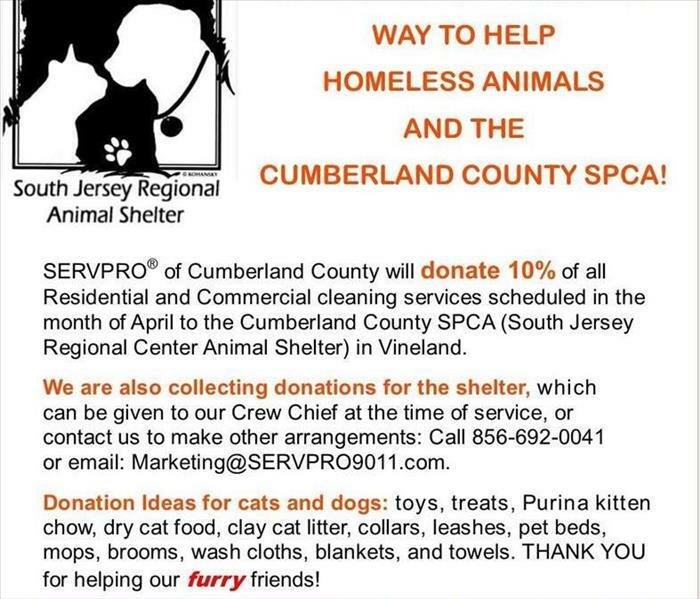 Way to Help Homeless Animals at the Cumberland County SPCA! Schedule a Residential or Commercial Cleaning Service in April, and we'll donate 10% of the proceeds to the homeless animals at the Cumberland County SPCA! We are also collection donations for the shelter which can be left with the Crew Chief at the time of service or to make other arrangements, email us at: marketing@SERVPRO9011.com. Thank you for helping our furry friends at the SPCA in Vineland! SERVPRO of Cumberland County is a trusted leader in the restoration industry, and our highly trained technicians provide 24-hour emergency services. We’re dedicated to responding faster to any size disaster with the training, equipment, and experience to respond to your restoration or cleaning needs. After the damage is repaired, we offer Reconstruction Services to restore your property back to preloss condition. Contact Colleen Dennis, 856-692-0041 or Email. Recent Guest Speaker Engagements: Keller Williams-Vineland, Cumberland County Board of Realtors, and Farmers Insurance Regional office. 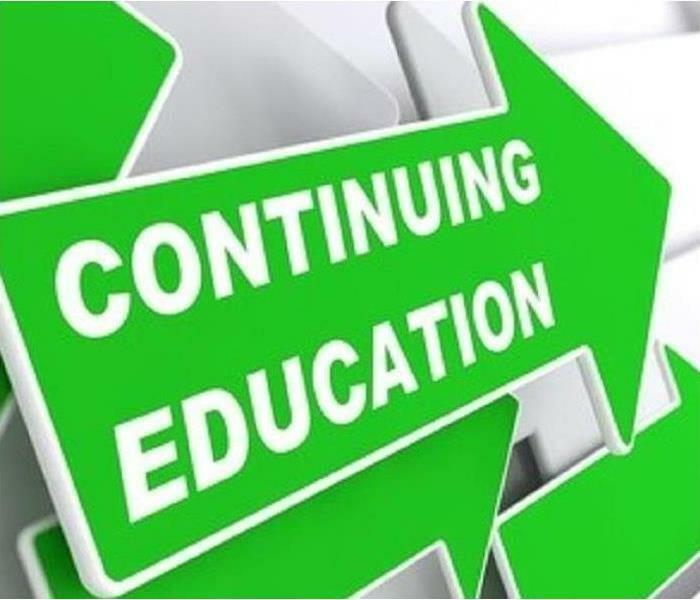 SERVPRO of Cumberland County will be offering Continuing Education seminars to insurance professionals in 2019. Seminars qualify for credits in New Jersey and Pennsylvania and are free to Insurance Professionals (complimentary dinner included). All dates are subject to change with notice. Got mold? We make it, "Like it never even happened." At SERVPRO® of Cumberland County, our mold damage specialists are trained and certified in mold remediation. 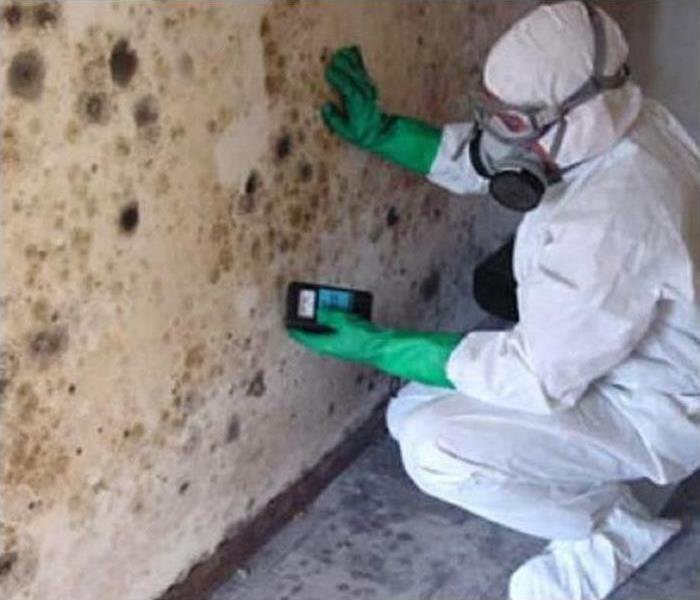 If your home or business is experiencing a mold issue, contact us to begin the mold remediation process. SERVPRO of Cumberland County Offers Many Services! DID YOU KNOW? 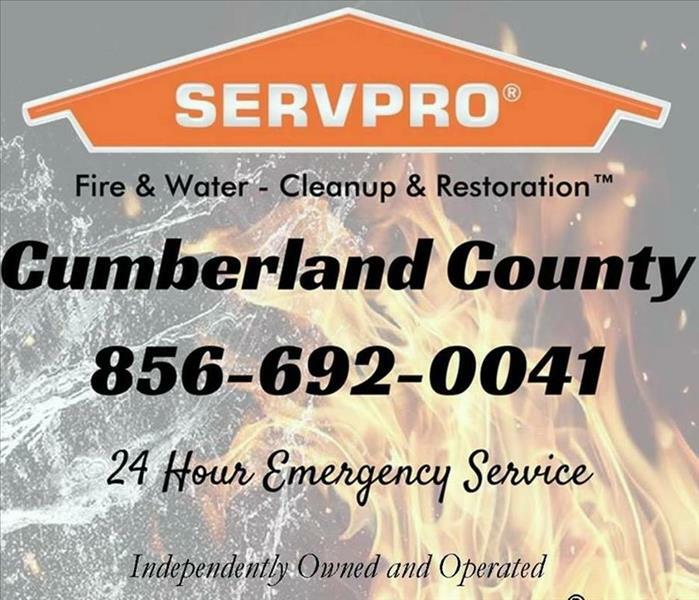 SERVPRO of Cumberland County provides 24 hour emergency response and additional services to help customers with Fire & Water - Cleanup & Restoration and Mold Remediation! Board-ups/Roof Tarping/Property Securing - In some cases it may be important to secure openings to your home or structure using sturdy, durable materials designed to protect it from both weather intrusion and intrusion by outsiders. SERVPRO of Cumberland County Franchise Professionals may perform the board-up and tarping themselves, or outside subcontractors may be utilized. Move-Outs - If prolonged exposure to the loss event could cause additional damage to your contents, your contractor requests relocation of the contents, or the safety of your contents is a concern, a move-out may be recommended. In these situations, SERVPRO of Cumberland County Franchise Professionals are trained to properly inventory, move out and control the contents from the structure during the cleaning, restoration and deodorization process. Reconstruction Services - Once the damaged materials are removed from your home or business other construction may be needed to restore your property to preloss condition. Your local SERVPRO of Cumberland County Professional is trained with the proper equipment to replace flooring, carpet, tile, hardwood floors, and doors (interior, exterior, steel and storefront). We can paint many surfaces, work on acoustic ceilings, trim, bathroom/kitchen remodels and home/office renovations. Inventory - Utilizing Contents Claim Inventory Service technology, SERVPRO of Cumberland County Franchise Professionals can generate comprehensive room-by-room inventories. Contents are categorized as salvageable, non-salvageable and questionable - allowing for easier contents settlement. Electronics Cleaning and Restoration - Smoke residues can contain acids that corrode metal surfaces when moisture is also present. If the residues are not removed, corrosion can eat away at the metal casing and can ultimately cause electronic failure in the device. A SERVPRO of Cumberland County Franchise Professional can clean the outside casing correctly, as well as refer your equipment to a qualified electronics vendor. For all of your restoration and reconstruction needs, contact the Franchise Professionals at SERVPRO of Cumberland County today! Call 856-692-0041 or email us. We make it, "Like it never even happened." Fire Damage? We're Here To Help! What Can Turn Into a House Fire or Fire in Your Business? When winter strikes, a portable heater may provide the little bit of extra warmth you need to stay comfortable. However, these devices can get extremely hot and ignite surrounding objects — such as curtains and furniture. If you must use a portable heater, never leave it unattended and make sure it’s not near any flammable items, and never use it with an extension cord. It takes a lot of heat to cook food, so danger can arise quickly if it’s not properly controlled. Gas stoves, grease, and food left in the oven for too long are all potential sources of fire damage. Minimize these risks by supervising meal preparation activities in your home or commercial kitchen, keeping curious kids and pets away from active stoves, and maintaining a clean kitchen space. Open flames from candles can feel inviting and elegant, but they aren’t as contained as you might think. When flames get too big or candles are knocked over, they can trigger massive fires. Always blow out lit candles before leaving a room or use battery-operated versions that do not use real flames. Watching out for these risks can help prevent house fires, but there may be instances where the danger is simply out of your control. 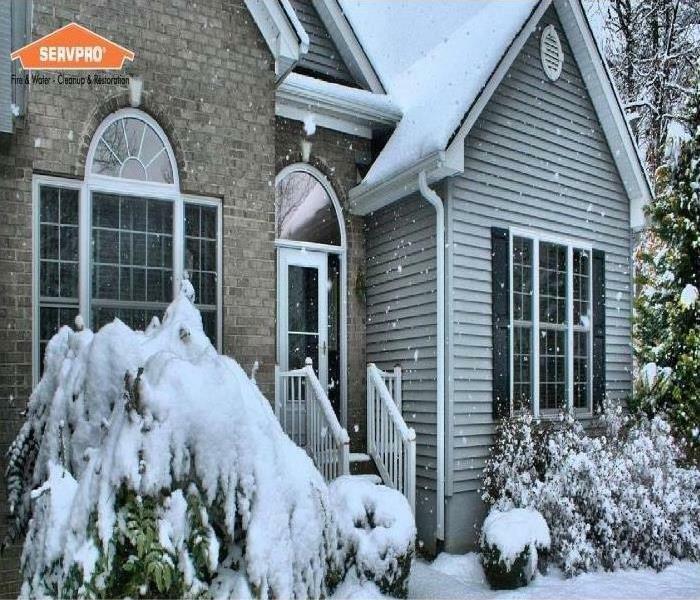 For these situations, turn to SERVPRO of Cumberland Countyfor complete residential restoration services. Our trained franchise professionals use state-of-the-art equipment to safely remove and restore fire and water damage. To learn more about our 24/7 emergency services call 856-692-0041 or email us. The information in this blog is from Ready.nj.gov (the New Jersey Office of Emergency Management). 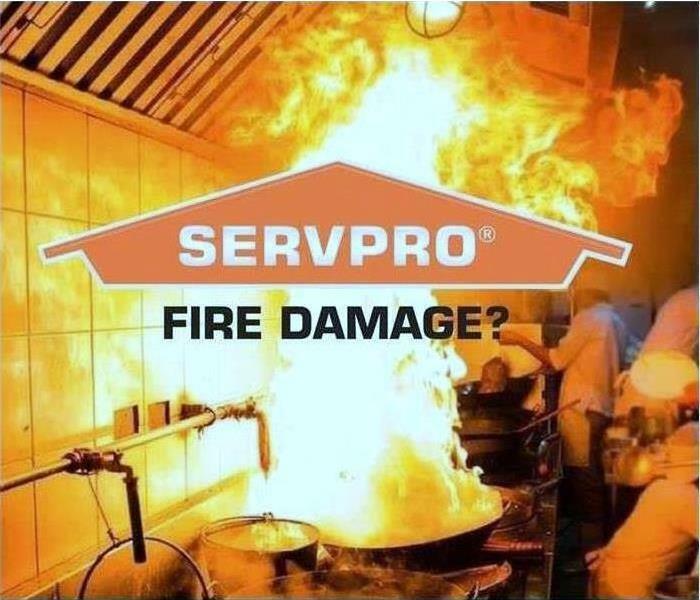 If you have water damage to your property, call the franchise professionals at SERVPRO of Cumberland County, 856-692-0041. We are trained in water removal, dehumidification, and mold mitigation/remediation. We make it, "Like it never even happened.®"
When furnace burners don't ignite properly, they can cause excess oil to explode, creating what's known as a puff back. This small, but dangerous combustion can release soot and smoke throughout the house, damaging the structure and contaminating the air. Puff backs can also harm your heating equipment, making it more susceptible to failure or dysfunction in the future. If you want to avoid expensive furnace repairs - and having to call a residential restoration service to clean up the soot - here are a few strategies for puff back prevention that you should follow. Puff backs are typically caused by a variety of furnace complications that often occur after the equipment has been turned off for some time. Common causes include oil leaks, clogs, cracked heat exchangers, and burner shutdown. The best way to prevent these problems from causing a puff back is to have your furnace professionally serviced at least once a year - preferably before you turn it on for the winter season. In addition to annual maintenance, it's important to keep an eye on your furnace and look for warning signs that a puff back may occur. If you spot soot or smoke damage on the equipment, in the air ducts, or in the room where it is stored, your furnace may be experiencing ignition problems that could eventually cause a puff back. To reduce the chances of damage, call a technician for repairs and have a residential restoration service clean the soot and smoke. If your furnace is making unusual sounds, a mechanical problem may be to blame. For example, a small bang could indicate that unused oil is being ignited. Low, rumbling noises, on the other hand, often suggests a problem with the oil burner shutdown. Upon hearing the sounds, you should turn off the equipment and call a professional for immediate inspection and repairs. Even if your furnace seems to be operating fine, less visible issues may be present that increase the risk of puff back. Oil leaks, for instance, may prevent proper flow of fuel and eventually cause unused oil to build-up and combust upon ignition. Flue vent connectors should also be inspected for clogs, as smoke and soot debris can collect and impair furnace operation. If you notice these issues, have your equipment professionally serviced and cleaned. If you do experience a puff back, calling SERVPRO of Cumberland County immediately can help prevent structural problems, foul odors, and smoke damage from taking over your home. If you're a homeowner in Bridgeton, Millville, Vineland, or the surrounding areas in Cumberland County, you can rely on us for comprehensive cleaning and restoration services. Backed by heavy equipment, our professionals are able to thoroughly remove smoke, soot, and fire damage. To learn more about SERVPRO of Cumberland County’s residential restoration services, visit us online. To request emergency cleaning services any hour of any day,(24 hours, 7 days a week), call 856-692-0041. Prevent Water Damage in your Cumberland County Home. So now you know how to prevent water damage — and add years (and lower maintenance costs to your home!). If you do suffer from water damage, be sure to call us at 856-692-0041. 2/19/2019 - SERVPRO of Cumberland County Offers Many Services! 9/3/2018 - Prevent Water Damage in your Cumberland County Home.